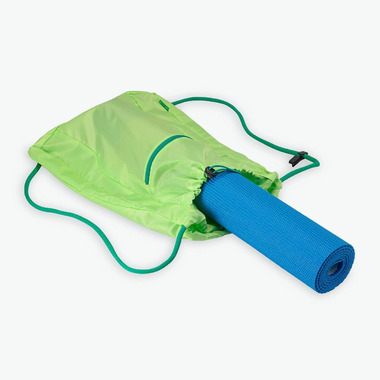 Securely holds kid sized yoga mat with cinch-cord closure. 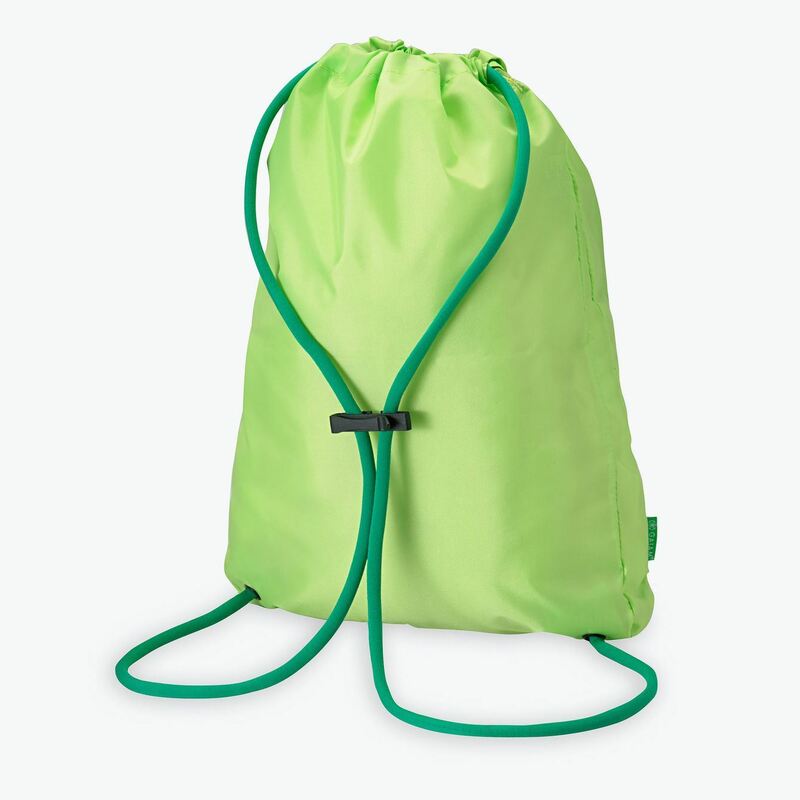 Comfortable, adjustable straps for customized fit. 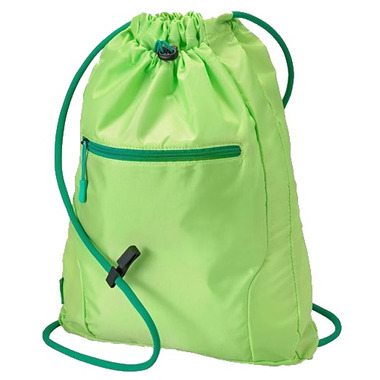 Main pocket with drawstring carries large essentials, smaller zippered pocket keep valuables safe.